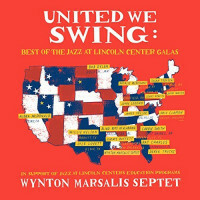 Recorded between 2003 and 2007, United We Swing finds an unparalleled array of musical talent that collectively boasts 94 Grammy Awards joining Jazz at Lincoln Center Managing and Artistic Director Wynton Marsalis (a nine-time Grammy Award winner himself) and his Septet. Together, they perform blues-inflected versions of iconic American repertoire and celebrate the red, white, and Blues. These one-night-only, live performances have never been released before. They include Lenny Kravitz performing Marsalis's hypnotizing, New Orleans-inflected arrangement of Kravitz's own song, 'Are You Gonna Go My Way'; Susan Tedeschi and Derek Trucks uniting for a stirring, infectious take on Civil Rights anthem 'I Wish I Knew How It Would Feel to Be Free'; Bob Dylan adding harmonica licks to a deeply felt, in-the-pocket rendition of 'It Takes a Lot to Laugh, It Takes a Train to Cry'; and Ray Charles taking the stage for one of his final performances to play 'I'm Gonna Move to the Outskirts of Town.' Together these artists raise their voices to highlight jazz's importance to America's cultural heritage and to remind us that, even in divided times, music can unite us all. 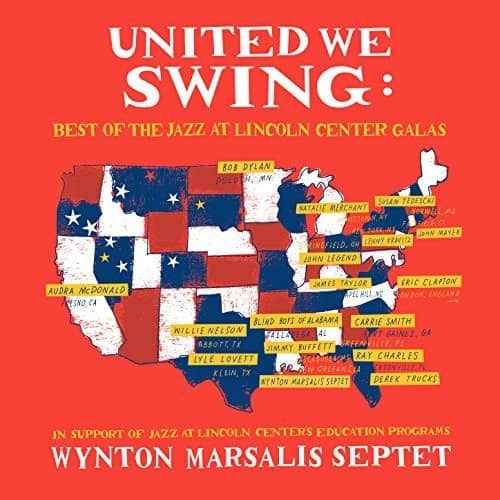 All proceeds from the album will go toward Jazz at Lincoln Center's education programs, which introduce thousands of children to jazz each year. Customer evaluation for "United We Swing (CD)"